walked deep into the woods. The Buddhist poet Ko Un is the best known Korean poet today.This simple poem is a philosophical meditation in the Buddhist tradition. The association between woods and childhood is something strong in many of our lives. The poem depicts a simple, beautiful scene and Ko Un’s sparse, carefully chosen phrasing elevates the scene into something more significant, giving concrete form to Buddhist concepts of what could dryly be called ‘the oneness of all being’ and also of ’eternity’. 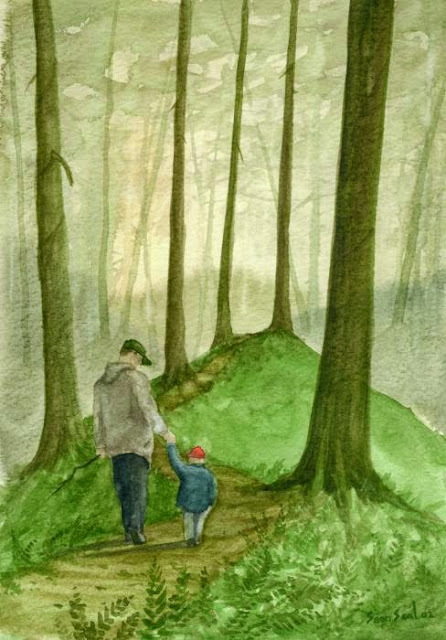 The two figures in the poem, the child and the man, walk ‘as one’ into the woods, ‘as one’ in both in the physical sense of holding hands and the mental sense of experiencing the same moment. If the ‘twilight woods’ remind us of the poet’s age – he wrote this at sixty – and of the end of life, it is well a sense of rebirth – of his return being at the same time the child’s discovery, and of these two moments being united. 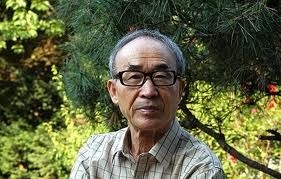 In this poem we find a concluding device which is Ko Un's most characteristic features, a closing single, isolated line which is linked to the rest of the poem yet concludes it by pointing in an unexpected, new direction, opening onto other directions, instead of giving a conventional closure. The isolated last line is intriguingly beautiful for its simplicity and power. I find the synergy of it quite uniting the times man travel through.